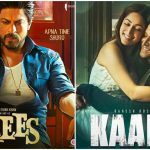 Box Office: SRK's Raees Vs Hrithik's Kaabil on 25 January, Who will Win the Battle? 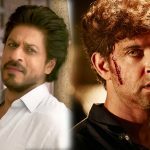 Box Office: SRK’s Raees Vs Hrithik’s Kaabil on 25 January, Who will Win the Battle? New year’s first big clash of Bollywood in between two much awaited movies, Raees & Kaabil is going to be happened this Republic Day. Both the offerings are all set to hit theaters this coming Wednesday on 25th of January. Interestingly both are associated with big names, Shahrukh Khan & Hrithik Roshan respectively. This is not the first time when two big movies are in one race; we have witnessed such big clashes in past also. Last year, Akshay Kumar’s Rustom Vs Hrithik’s Mohenjo Daro and Ajay Devgn’s Shivaay Vs Ranbir Kapoor’s Ae Dil Hai Mushkil were happened. One more clash was supposed to be happened in 2016 i.e. 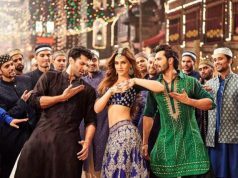 Shahrukh’s Raees Vs Salman Khan’s Sultan, which was averted later. Before than these, Shahrukh’s Dilwale Vs Ranveer Singh’s Bajirao Mastani was happened in 2015. 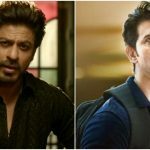 The list shows, SRK & Hrithik have already experienced such condition and as per the results, they both have tasted the failure as well in clash. Even though, they agreed to release their movies on the same day. Producer Rakesh Roshan was the first one to book this date for Kaabil, so this means the clash is happening because of Shahrukh, let see who will bear the loss. So far Raees & Kaabil, both are flying on the same height in case of pre-release buzz. But still Shahrukh Khan’s Raees is expected to take higher opening than Kaabil, because of his enormous stardom. Further performance will depend on the reactions of audience as well as critics. 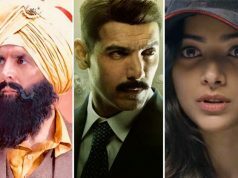 But this doesn’t mean that Kaabil will lag, infact it is looking like a long race horse, which will run slightly slower than the opponent but remain steady for long. So whatever the result will be, but the week is gonna be very entertaining for audience. As they will have two strong options to watch & enjoy in theaters.